Premium: The Professional Blue Template is a premium template on Hiration's Resume Builder. 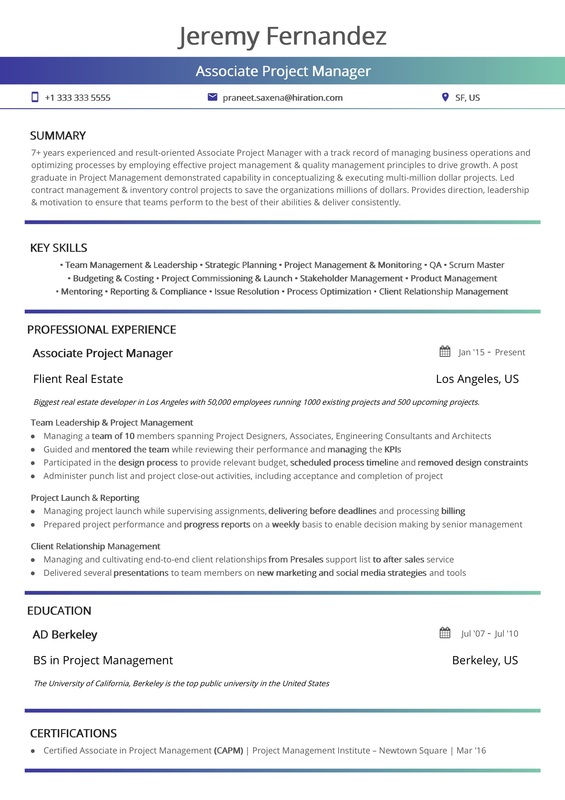 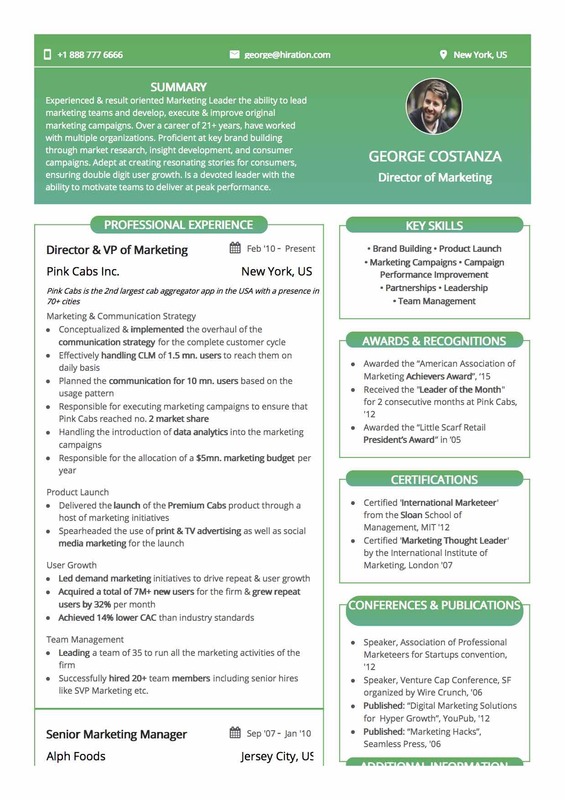 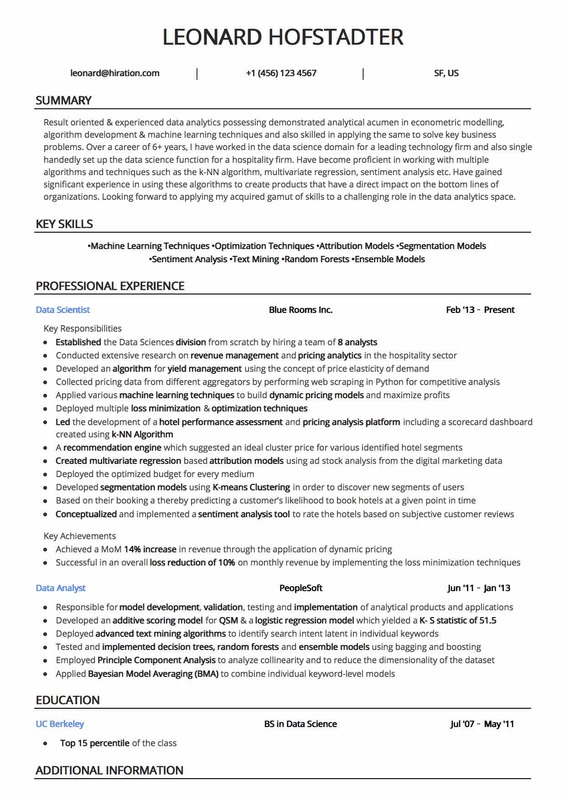 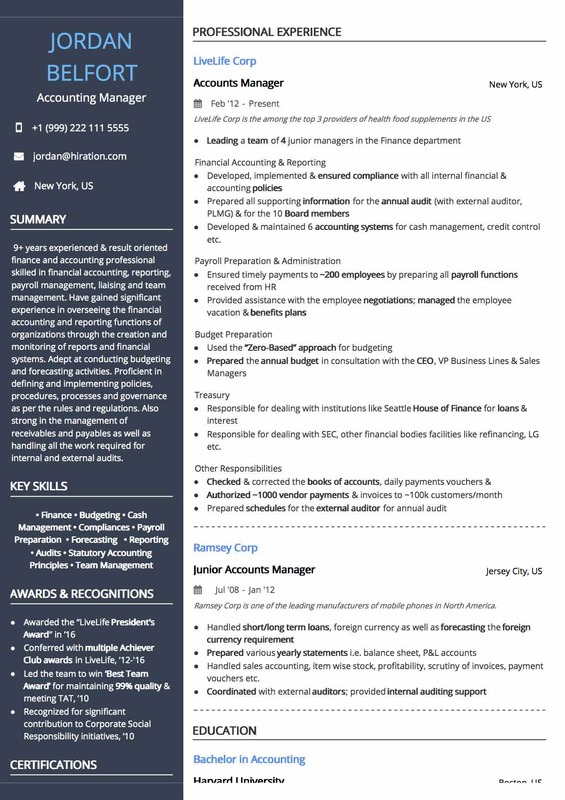 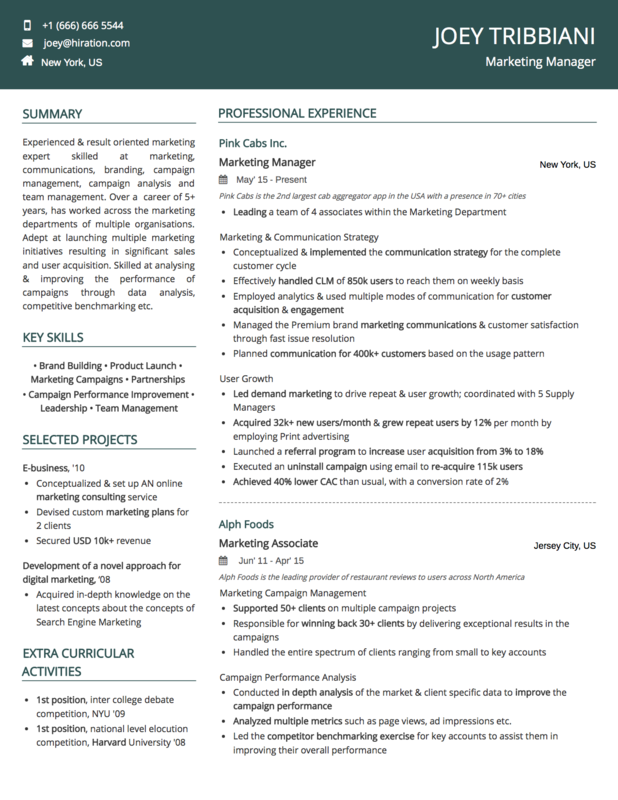 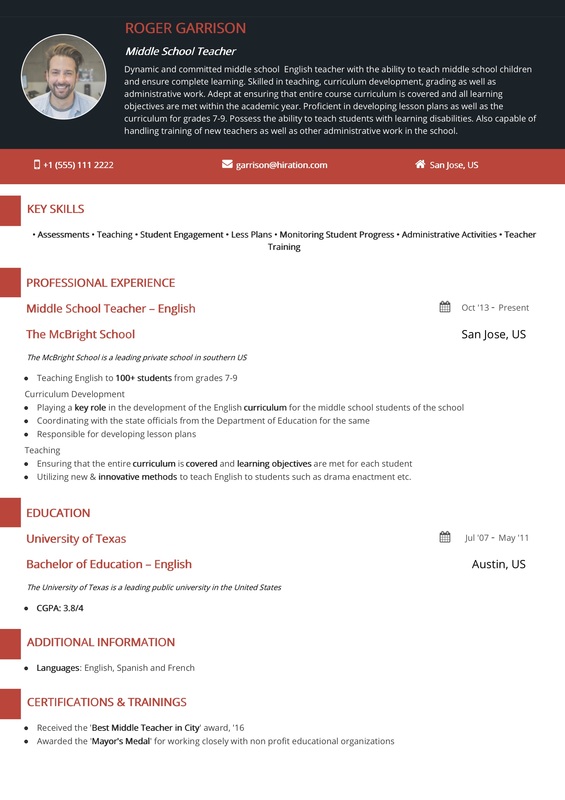 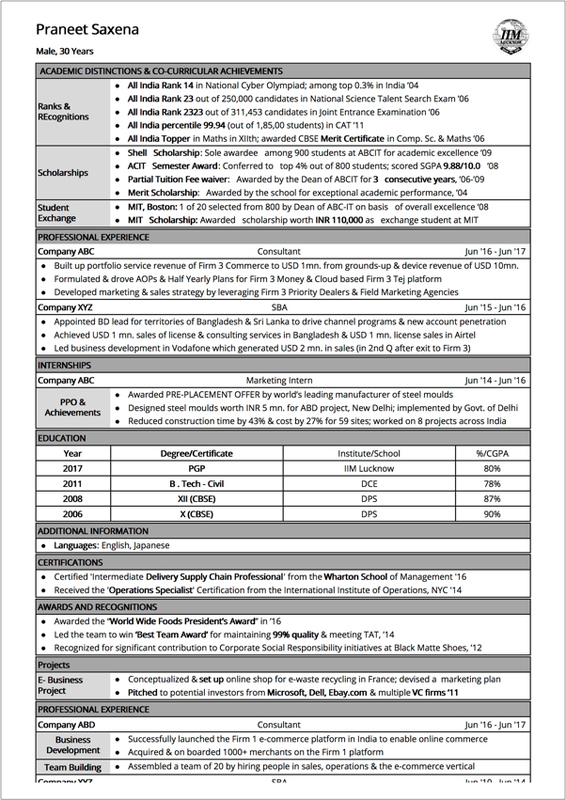 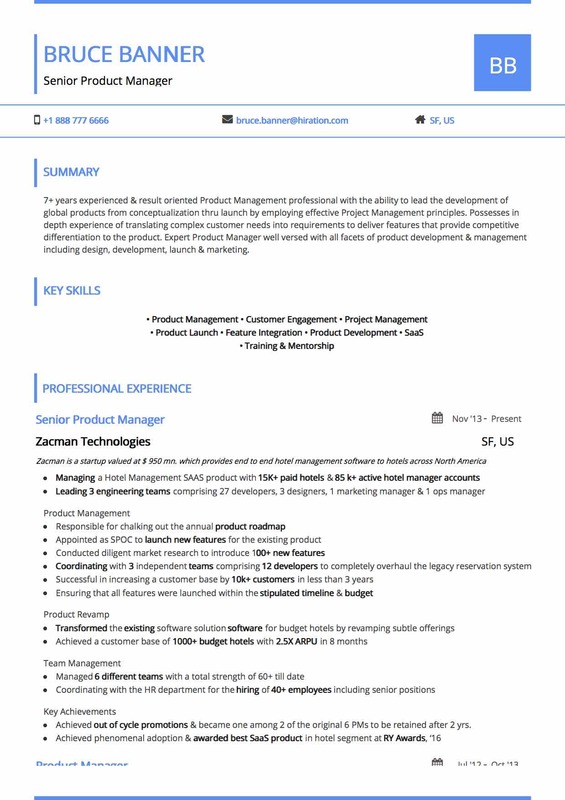 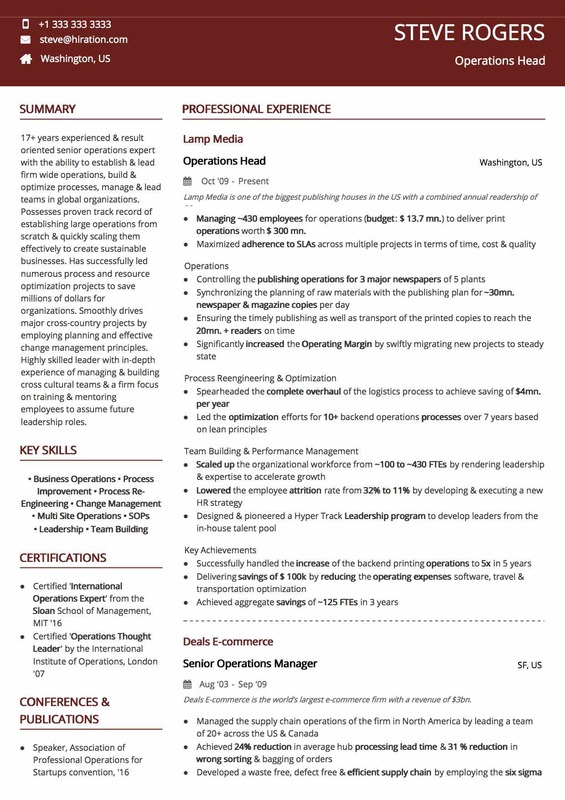 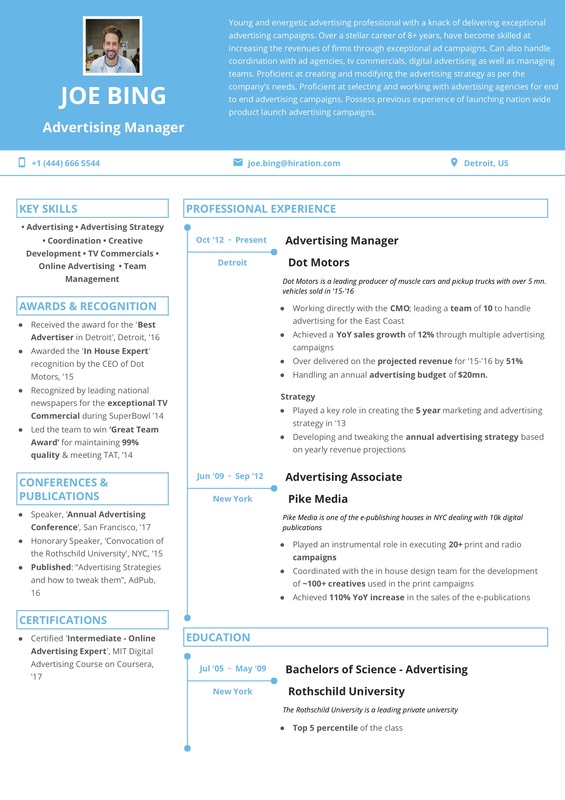 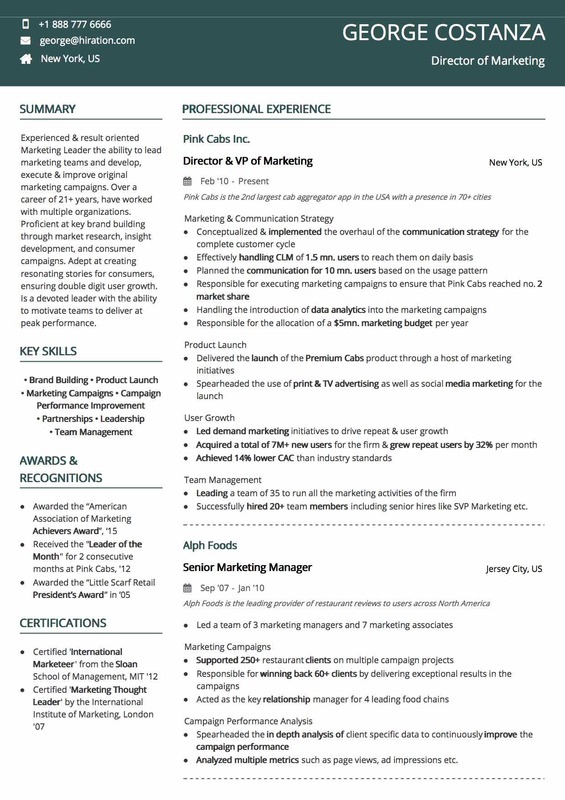 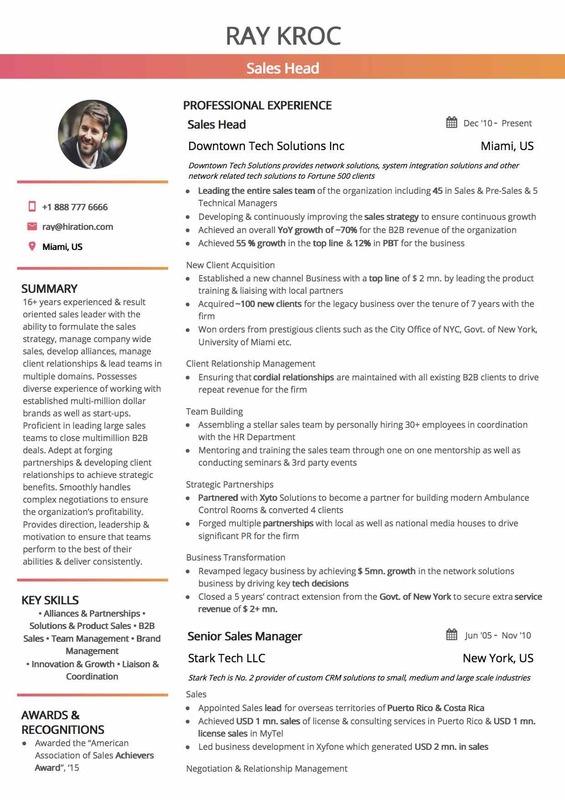 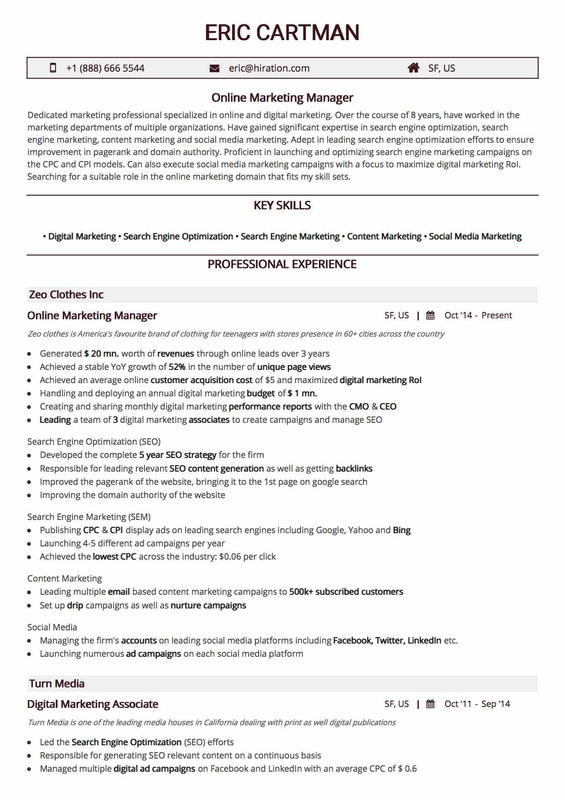 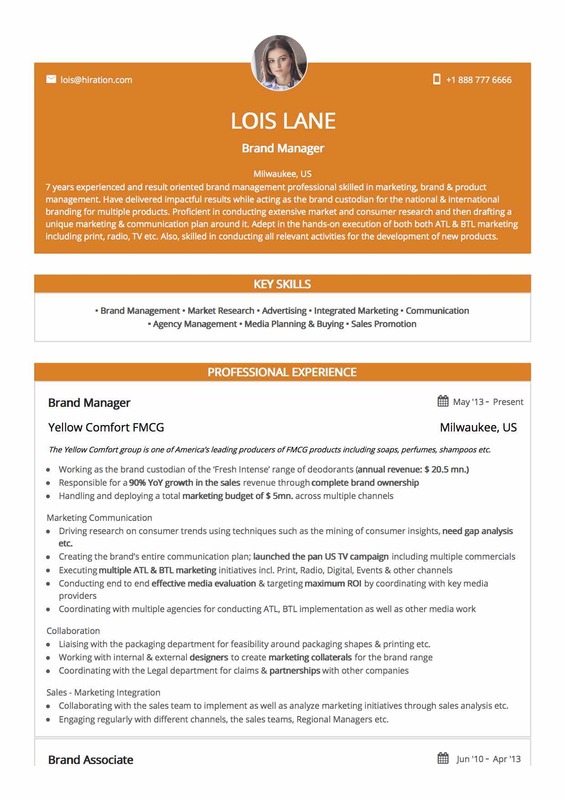 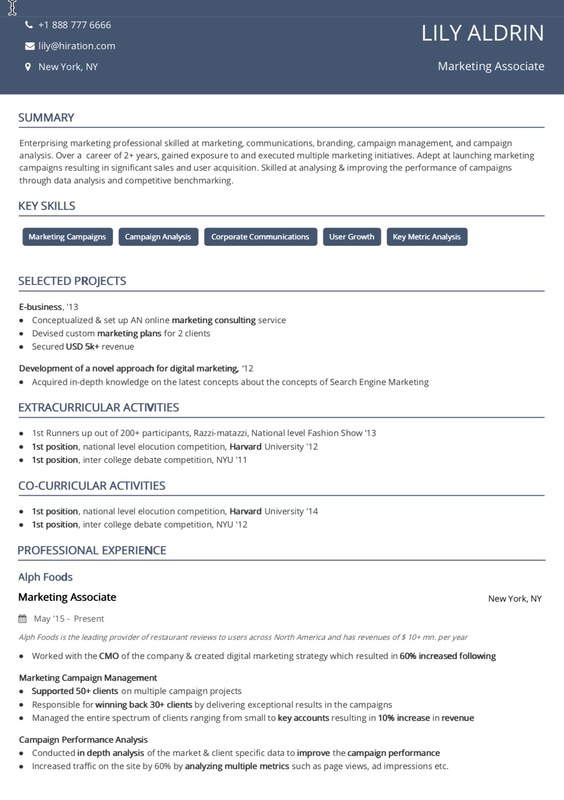 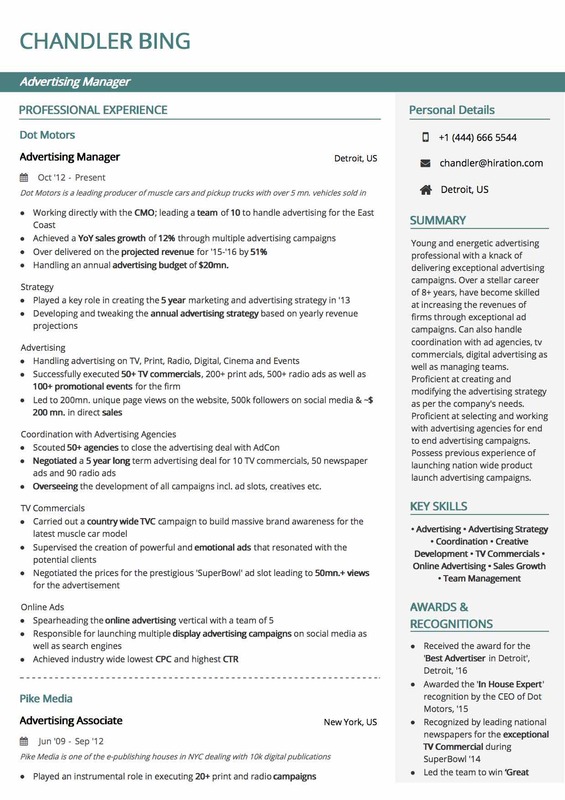 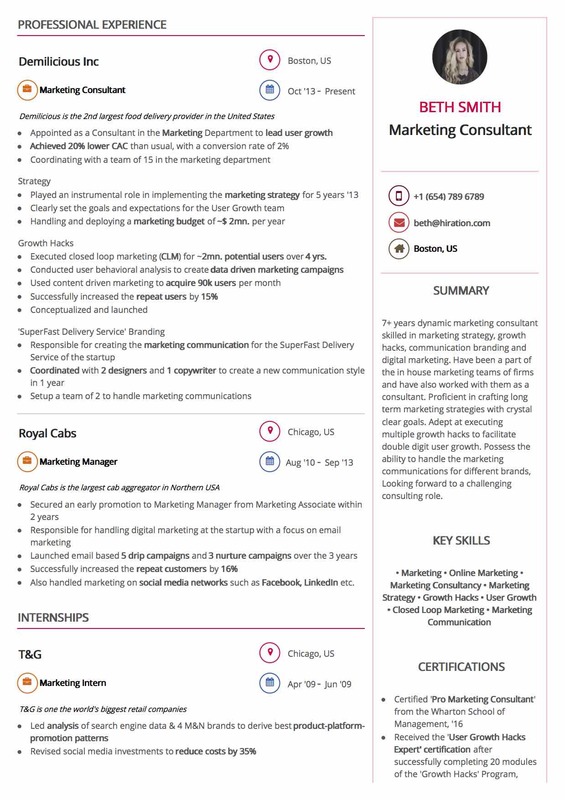 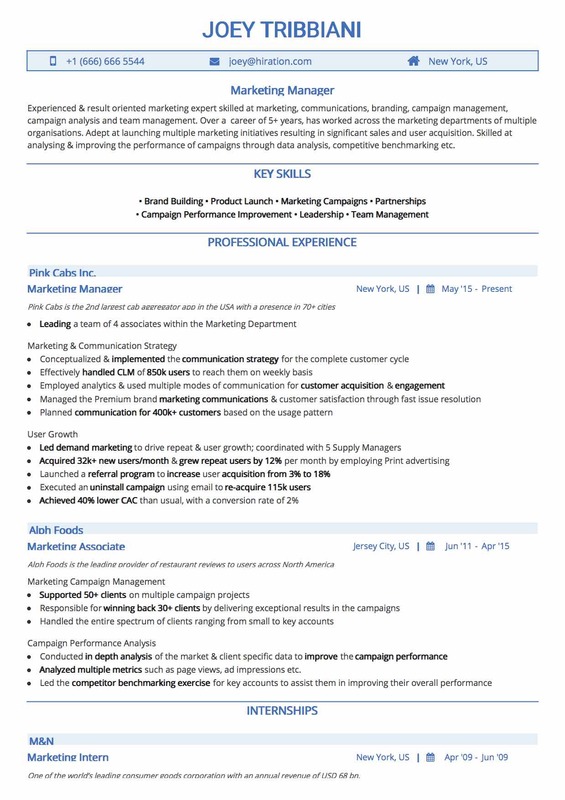 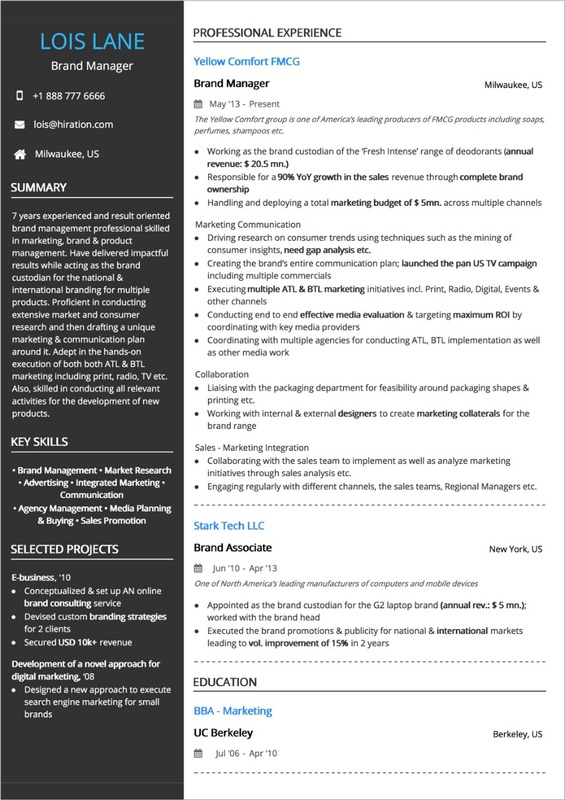 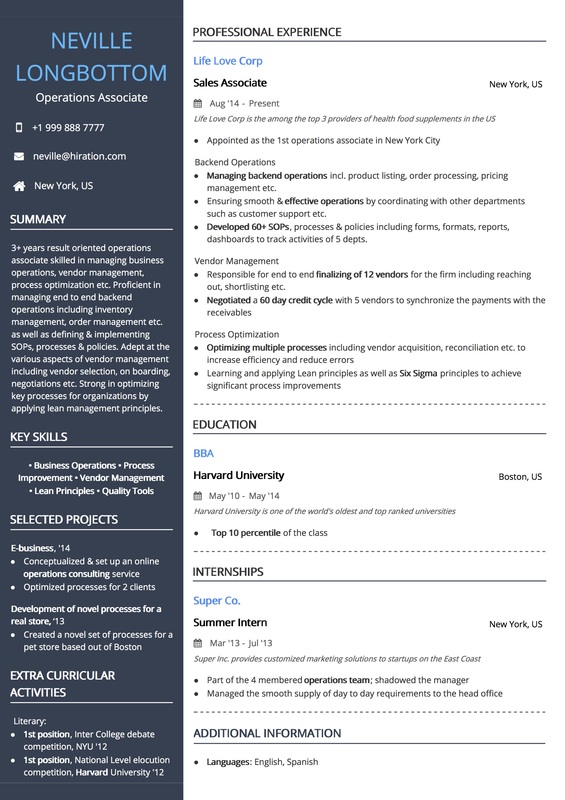 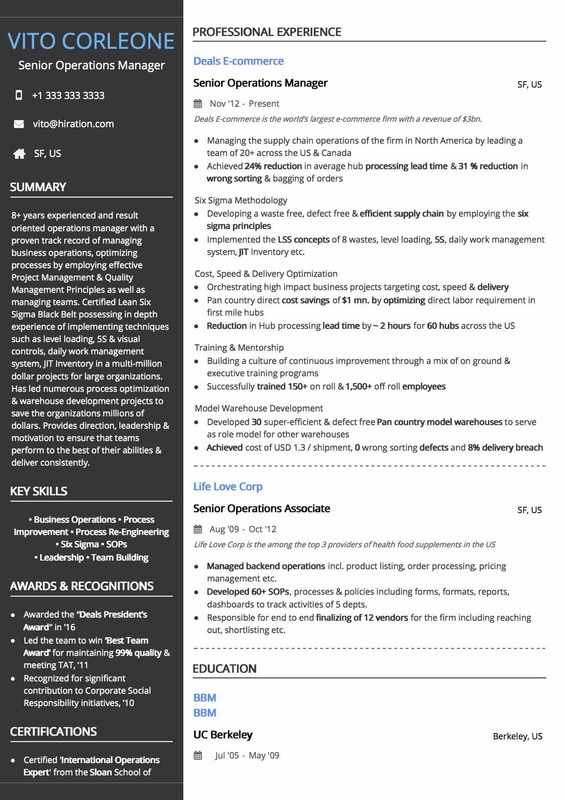 Structure: This resume template is a two column template, with one column occupying roughly one-third of the resume width on the left and the other occupying two-third width. 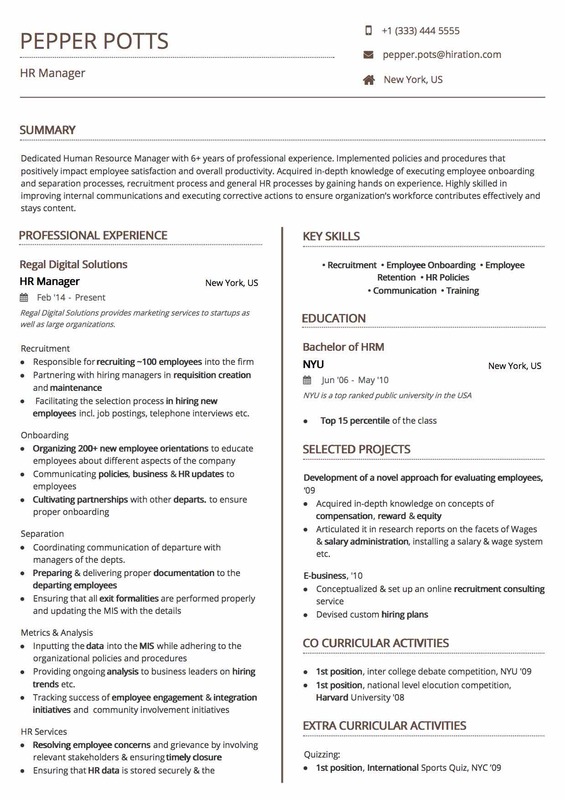 The left column is basically present to highlight the smaller sections on your resume such as key skills, summary, small projects and any other additional information. 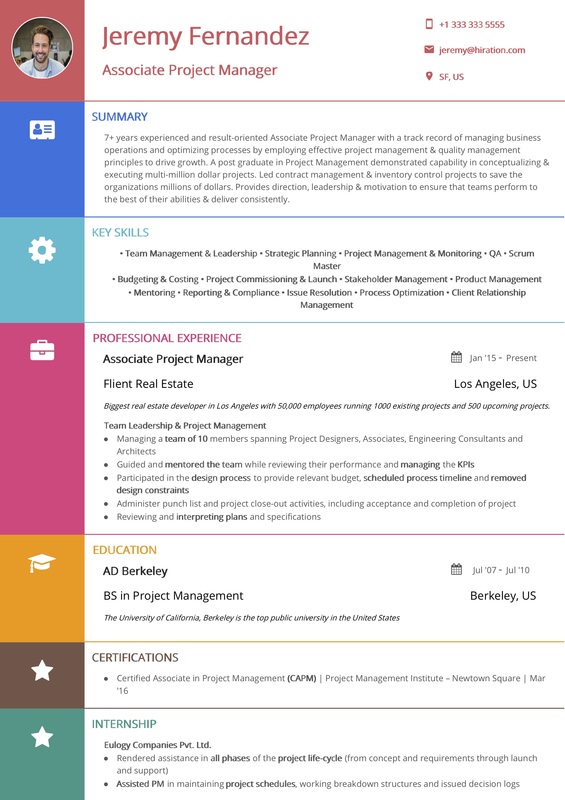 This gives you the opportunity to highlight multiple things apart from your professional experience. 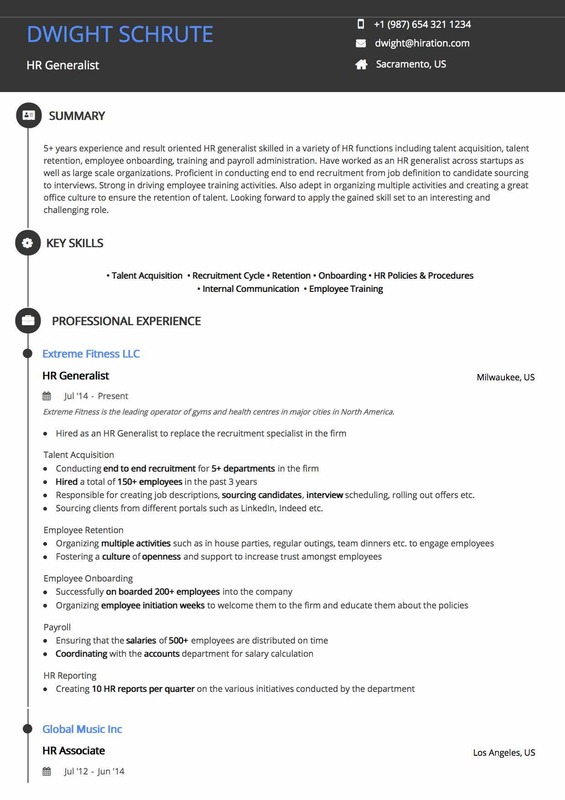 This resume template should be used by anyone who wants to exhibit multiple facets of their career on their resume. 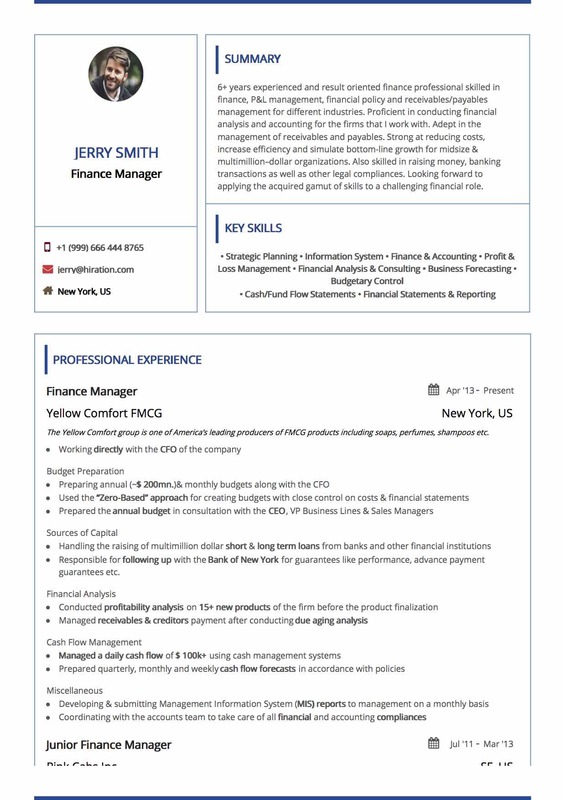 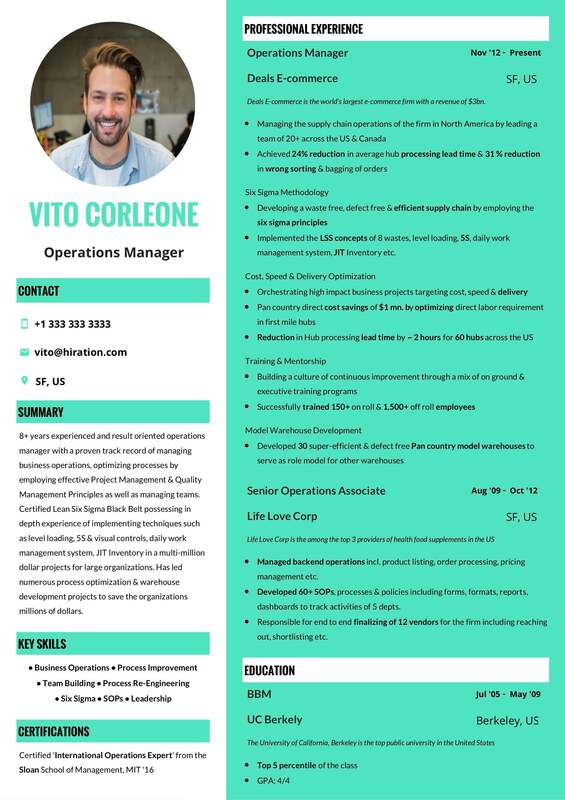 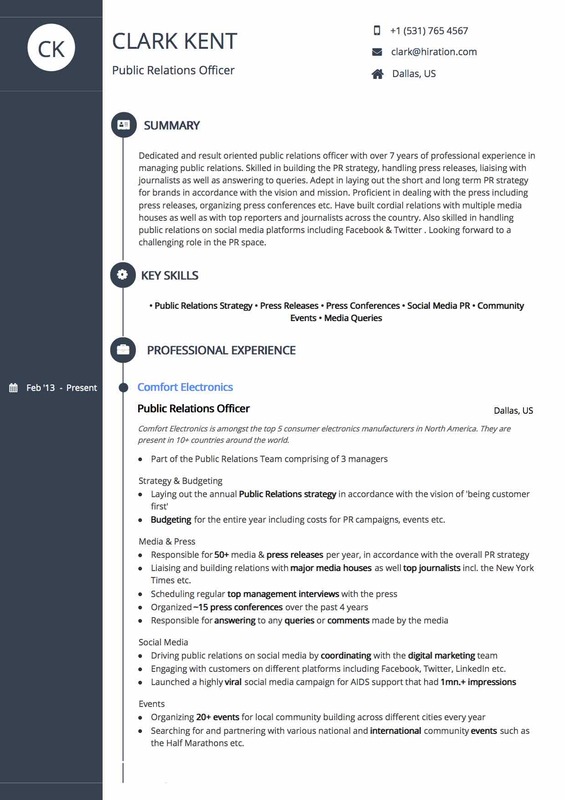 Design: The left column of this resume template is a darker shade of blue withe the overlaying text as white. 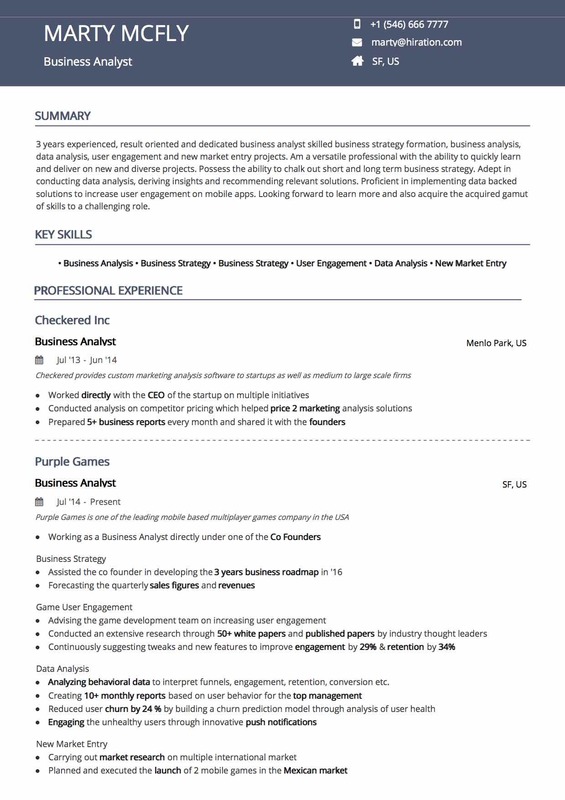 The exact complementary arrangement has been used in the right column. 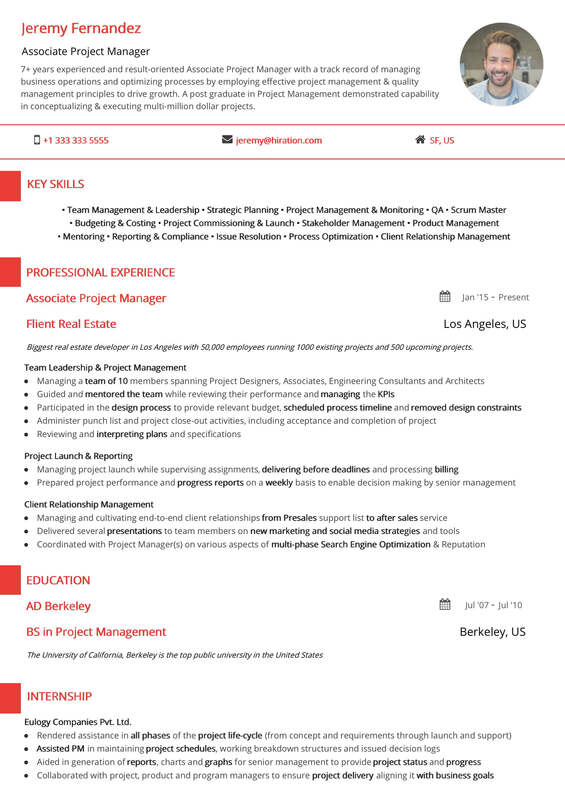 Dashed separators have been used in time-dependent sections (Education, Professional Experience, etc.) 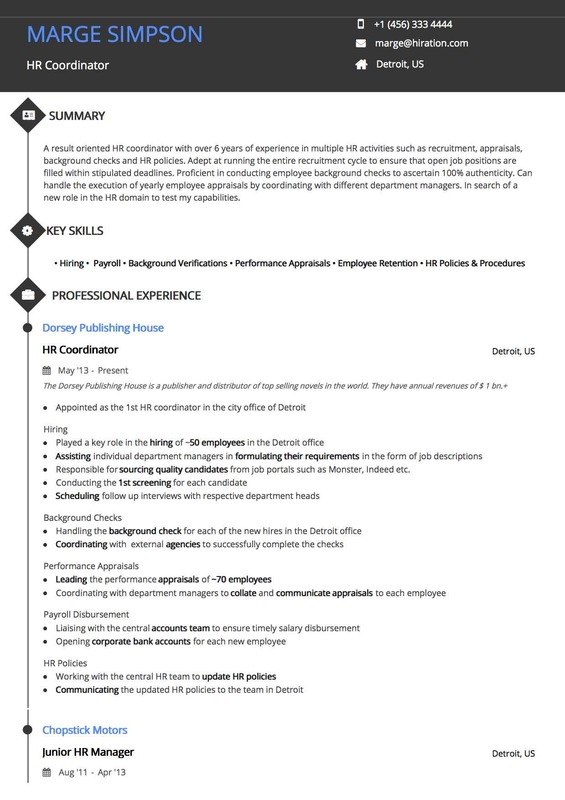 to separate sub-sections. 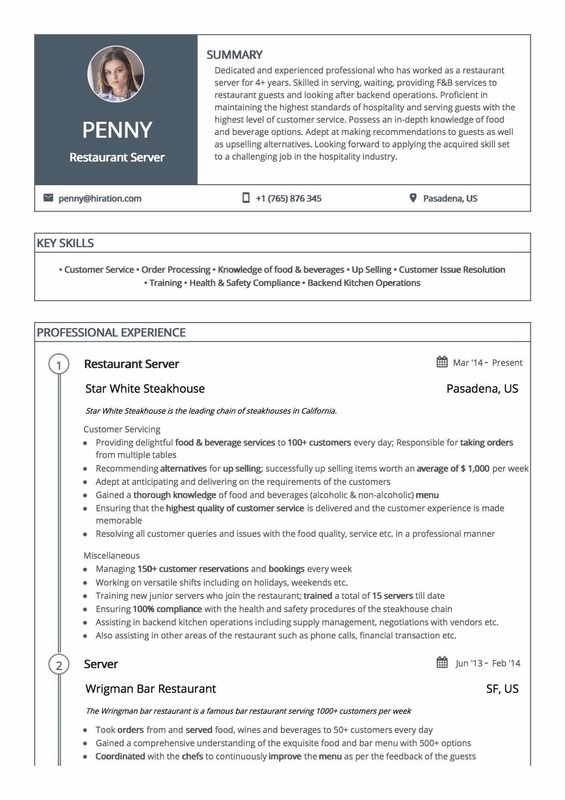 Typography: Open Sans along with a uniform line spacing has been employed to provide a highly professional look to the document.